Envirosafe Ireland provide the MultiRAE which is a cutting-edge PID sensor that detect volatile organic compounds (VOCs), and supports over 30 electrochemical, NDIR, and catalytic sensors to detect up to five additional threats. These include: toxic and combustible gases, oxygen deficiency/enrichment, and carbon dioxide. 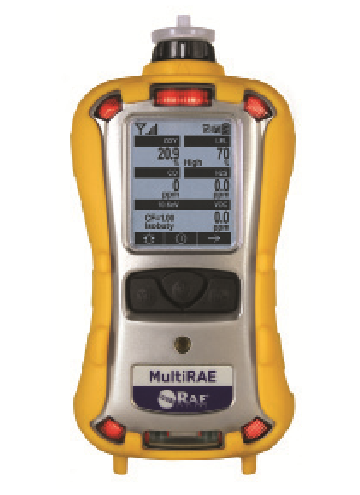 The MultiRAE’s wireless capability elevates worker protection to the next level by providing safety officers real-time access to instrument readings and alarm status from any location for better visibility and faster incident response.